The name and work of surf artist Owen Cavanagh is known well and much loved around the Noosa Shire. However, our overseas visitors may not fully appreciate the extent of Owen’s contribution to our colourful life on the Sunshine Coast. Yet almost all who journey up the Sunshine Coast highway from southern climes or domestic and international airports will be all-too familiar with the magnificent wave painting adorning the corrugated wall of a tumble-down barn in the middle of a field alongside the highway. Owen’s renowned mural, along with much of his artwork is iconic, and highly evocative of the region. Entrenched in the Noosa surf community, both as talented artist and sculptor, and passionate surfer, Cavanagh was the obvious choice when festival organisers were searching for a creator for some 60 winners’ trophies. Relishing the challenge, and as a well-experienced crafter of trophies for Noosa’s numerous surfing clubs, he was quick to take on the project. With sculptures for each event, from dog surfing participation to the 1st, 2nd and 3rd-place-getters across the festival’s 16 divisions, including the finalists for the World Surf League’s Noosa Longboard Open, Cavanagh has been hard at work, utilising almost 90% recycled materials to create the unique works of art. Some are mounted on timber plinths or hand-painted onto rusty galvanised steel, others wrapped in frames of reclaimed fence posts, but each is distinctly individual and sure to be a treasured keepsake to any recipient. As if this wasn’t enough artistic creativity for one man, Cavanagh is also collaborating on a driftwood sculpture to be displayed, and for sale, in the Vonu Beach Bar, as well as producing a six-metre by two-metre mural representing the globally-renowned view over which it will look. Concluding the swathe of contributions to this year’s Vonu Noosa Festival of Surfing, Cavanagh is to be hosting a Surf Art Expo. Joined by regional, national and international artists, all similarly inspired by the ocean’s undulations and personalities, this is his sixth such event since 2001. 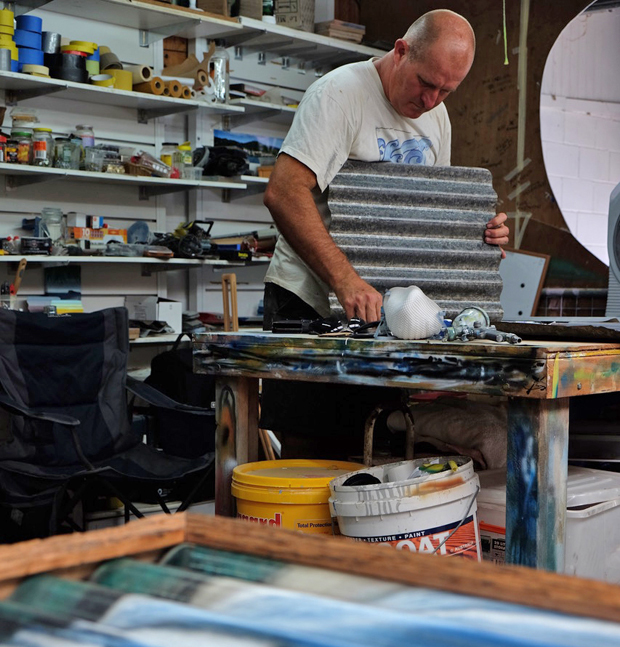 Incorporating stalls, demos, food, and of course many works of art all for sale, the expo at Heads of Noosa Brewery will offer visitors and locals alike a little respite from the beach and an inspirational array of incredible art. 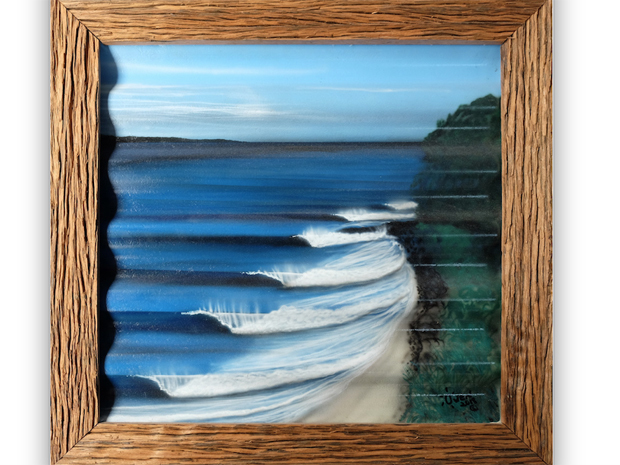 Please visit our website for more information about Owen Cavanagh’s Surf Art Expo, along with all the numerous festival events, both on land and in the waves. Visit OWENS WEBSITEfor more information about his incredible work. The Noosa Festival of Surfing is supported by strategic partners Tourism and Events Queensland and Tourism Noosa.